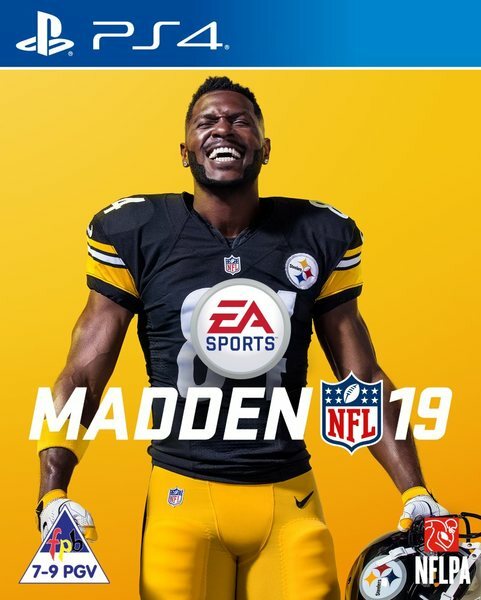 Madden ‘19 already known as the dominant football game in america comes into this year with questions and concerns.Does it have the balance needed to stay between the uprights while also keeping both newcomers and long-time Madden fans happy? In short: Yes, yes it does. In year two of the series’ move to the Frostbite engine, it’s apparent the development team is finally learning how to use the technology.You can see that growth on display in the excellent fluidity your players bring to the field. Basic moves like spins, jukes, and the ability to adjust your speed and hit the gap all look fantastic. This was most evident to me when I would hit the truck with Marshawn or burst through the hole with careful patience like Le’veon.The feel of the game continues to improve, especially with Madden 19’s enhanced controls. You’ll see your stick talent translate on screen in fluid motions that’ll have you pumping your first in the air while you beat down your friends. Trust me from future experience beating your friends to a bloody pulp can be fun. While improvements to offense have been mostly advertised the changes to defense can also have a huge impact on madden. On both sides of the ball, player interactions have gotten a noticeable bump from last year. It’s the way a defensive lineman can break off a tackle to crush the halfback in the backfield(which can be annoying sometimes when your blocker just runs away). The way safeties can track down the ball and pick it off before momentum carries them out of bounds. And the way play action breaks down as the edge blitz catches you off guard, nearly causing you to jump in fear. EA has done a great job capturing the speed, momentum, and impact of football in Madden 19.Madden’s graphics and player movement look better than the series has ever known. The graphics in this year’s game are amazing, players look more realistic than ever in both the menus and on the field. In short, not only does Madden 19 feel great to play, it’s great to to look at, too. EA has also finally added customization options to Madden 19, allowing the Madden community to create their own draft classes. This new feature let me feel more connected to my team a point I sincerely appreciate considering how much time I spend with it on and off the field. So now being able to draft players I watch every saturday during college gameday is unreal. While also being able to pick the guys the actual general managers did not and make the right choice.The Madden series has yet to find a perfect process for keeping free agency engaging. Even though I loved the game I hated staring at Le’veons face when he declined by 15 million dollar contract. But it’s new draft process adds a sense of control to the mode which is much appreciated.Madden Ultimate Team continues its formula of collecting cards and fielding a roster to compete against opponents online. A new wrinkle in Ultimate Team this year requires you to upgrade players to fit your team’s mold or chemistry.The downside is that this will likely become the new grind of the Madden franchise which is not all bad because you feel rewarded afterward.It is cool how you can grow your best player rated in the late 60s up to a potential 90 overall. Madden’s most popular mode will most definitely be a hit once again. In Madden 19 EA has doubled down on one the best features of Madden 18 The Longshot Story mode. It’s a direct sequel to the storyline from last year, this time dubbed Longshot: Homecoming, which follows the struggles of Devin Wade and Colt Cruise as they navigate the NFL and their personal lives.Devin continues to battle his play-calling woes, showing nice continuity from last season’s story, as Colt endeavors to land a tryout or his next hit song. The mode does put a larger focus on including gameplay this time, but it simply feels like an excuse to run a drill that you’re required to pass to proceed. It becomes more of an annoyance than anything to “Try Again.”While Many hated this modes revival I was actually a fan of it. I felt the storyline plus gameplay was great and Colt eventually taking over for his old high school left hearts warming. The story caught my attention at least and I hope something like this continues to happen in the near future.Even though many are begging for the revival of my career. With the mut squads mode being such a big hit I can’t see madden passing up on the opportunity to sell a my career.With Real Player Motion delivering a fluid on-the-field experience, and Franchise mode customization offering another level of realism, Madden is in a great place.